harvesters were together on a gravel trail near the meadow picnic area baltimore was near the wet corner of the meadow picnic field. 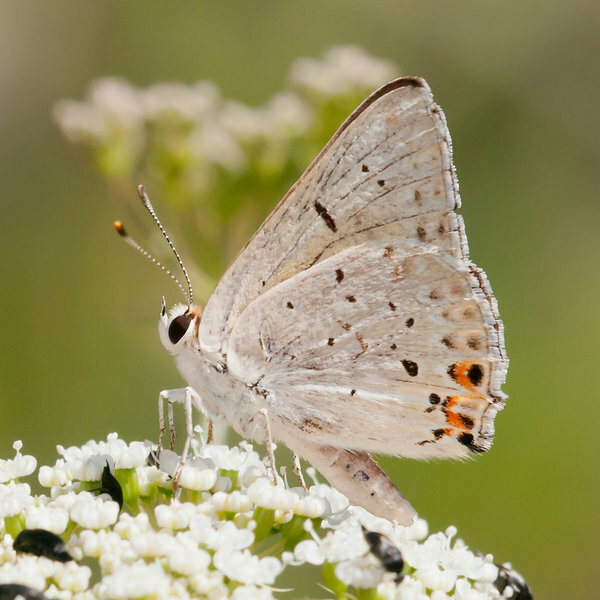 I did a butterfly photography tour on the north side of Lassen Volcanic National Park. 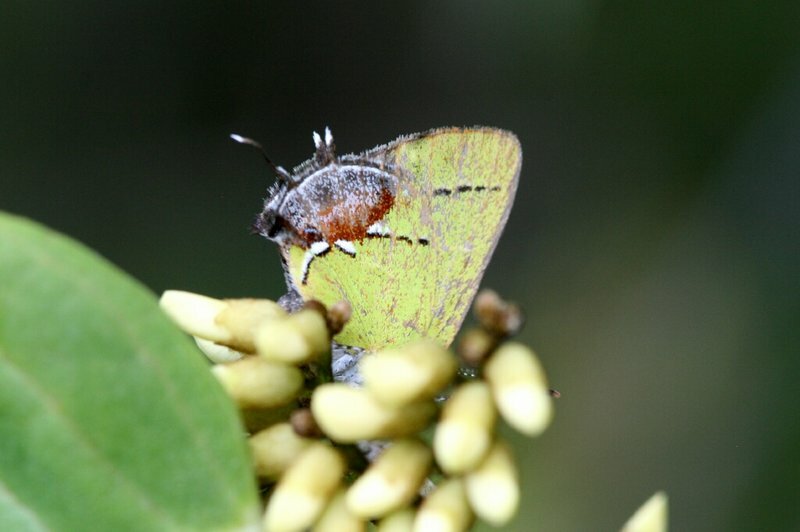 The Edwards Hairstreak was on the vista on Wawayanda Mountain. Seen in what was likely once a wetland, but has only a few small remaining marshes. This is the only individual of the species I saw. Dun Skippers and Common Wood Nymphs just coming out. 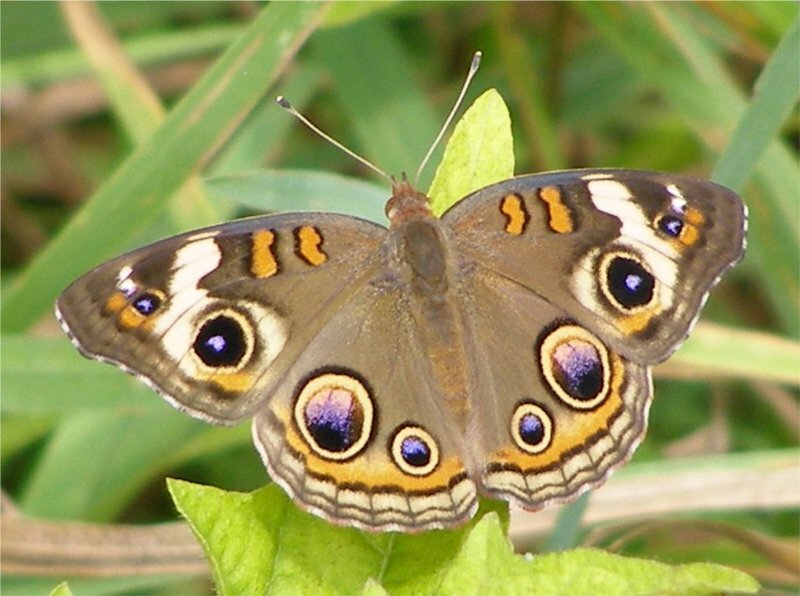 New emergences of American Ladies, Common Buckeyes, and Red Admirals. Monarchs have been abundant all season as have been Canadian Tigers. 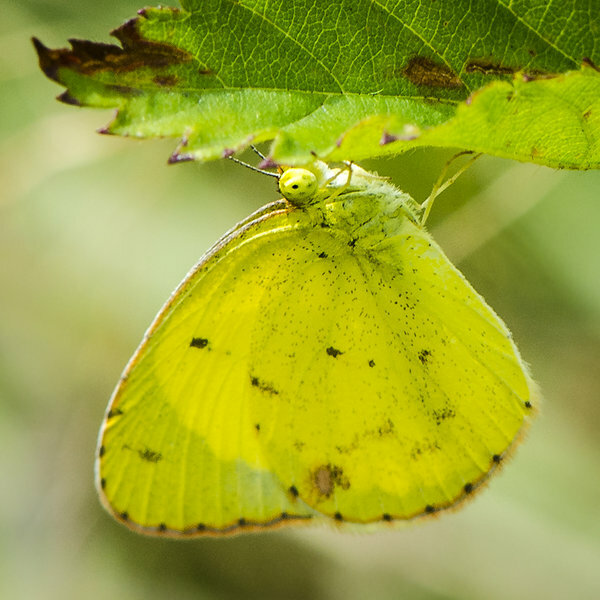 This is only the 2nd Dainty Sulphur ever found in this county of Ohio. The first record was from early May of this year. 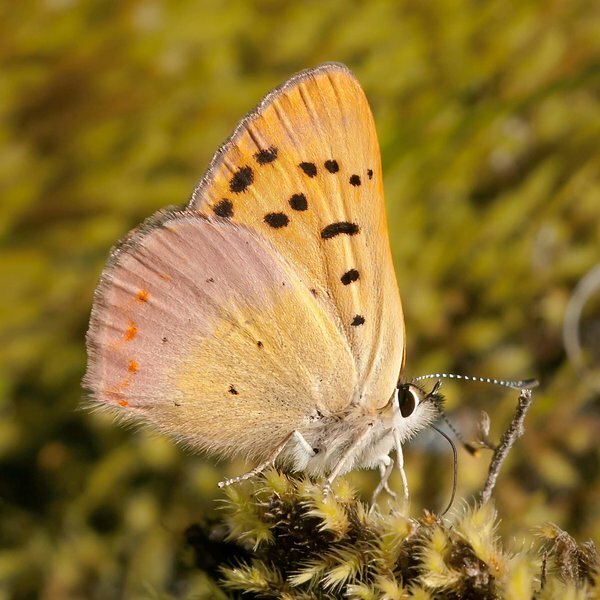 This butterfly is a very rare migrant to Ohio. Oppressively hot, breezy, temperature hovering around 100 F. Most butterflies observed on second flush dogbane along Key Wallace Drive and on buttonbush (Cephalanthus) on Decoursey Bridge Rd. Traveling with Tom Stock. In the field 1330-1600 hours. Searching for King’s hairstreak with Tom Stock. Oppressive heat in the upper 90s, sunny. In the field for 2 hours from 0900-1100 hours. On foot on overgrown wet forest trail along a creek. Abundant grape, spicebush and pawpaw understory. King’s food plant, common sweetleaf, scattered throughout. No nectar sources to speak of. Met up with Tom Stock to survey for Edwards’ hairstreak. 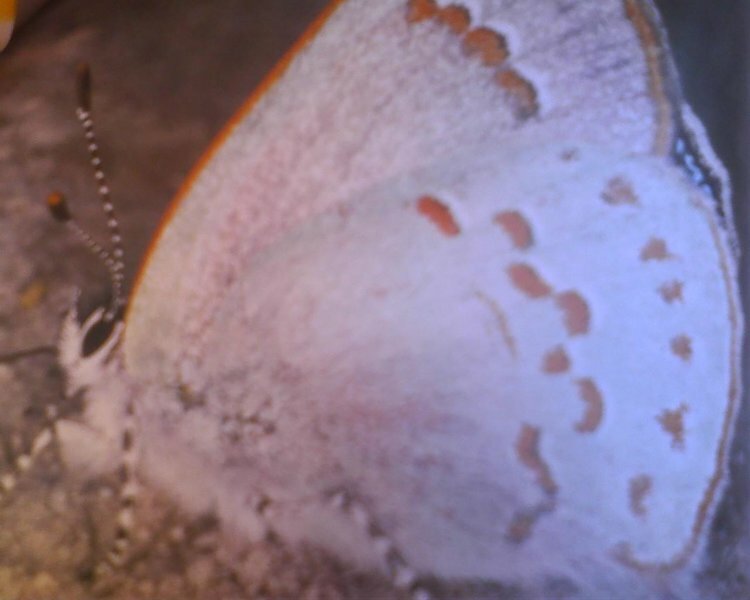 He found three before I arrived at 1000 hours; I observed 5 in small fields with emergent scrub oak. Hazy, mostly sunny, temperature around 90 F. In the field 1000-1130 hours. 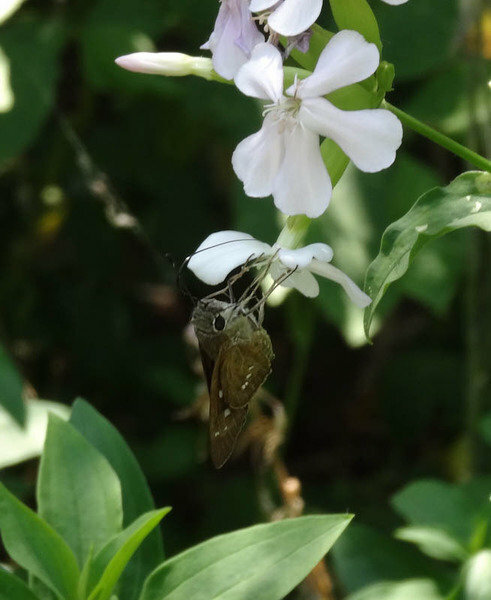 Nectar sources included red clover and yellow Baptisia. Fort Indiantown Gap "Regal Tour"
With temperatures in the mid 90’s, the Regal Fritillaries spent much time in the shade at the base of small shrubs. Time spent nectaring was greatly reduced. Observations made between 10 a.m & 2 p.m.
First record of this species in Wisconsin! And finally a Baltimore Checkerspot…a lone female who was worn. The second brood of the Giant Swallowtail is out and about. Ray Bruun and I returned to this reliable spot for Great Copper. The locale is just past the turn into the N.E.E.D. Camp, along Paige Bar Road. We also saw a group of first-of-season Woodland Skippers. Seen along road through tropical hardwood hammock. Berlin Reservoir, off of Price St., walking south. We saw 4 Dainty Sulfurs. 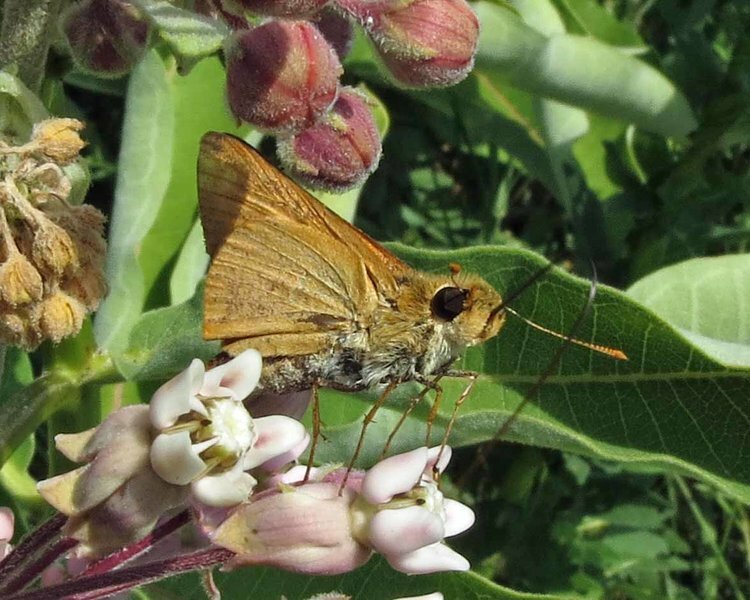 This Ocola Skipper was found in the Herb Garden at Quail Hollow State Park, Hartville Ohio. It was the only one of it’s species that I saw. It was with Fiery and Pecks Skippers. 1 Red-banded Hairstreak perched vertically alongside moths, including Great Leopard moth, at 7 a.m. The Little Yellow butterflies where easily found as we entered the trail from the parking lot. There were about 10 of them close to the parking lot. We saw other Little Yellows scattered around the park. 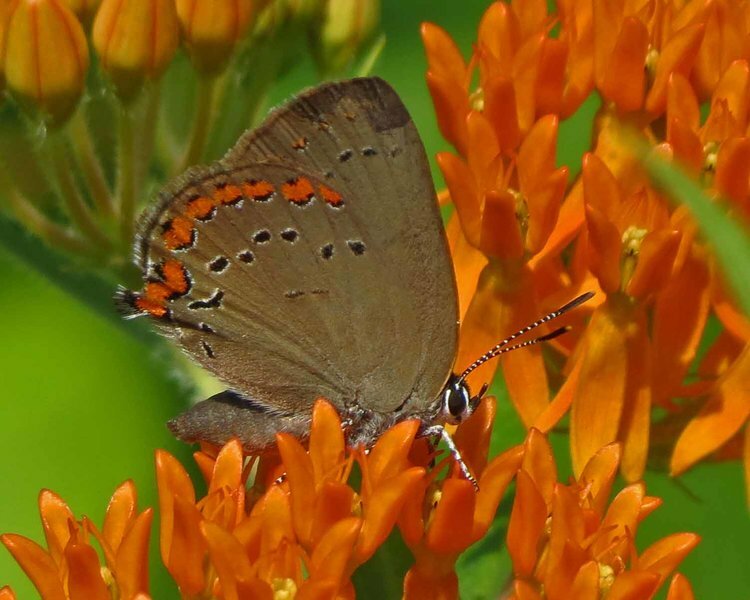 A Portion of the Holden Arboretum NABA 4th of July Butterfly Count. 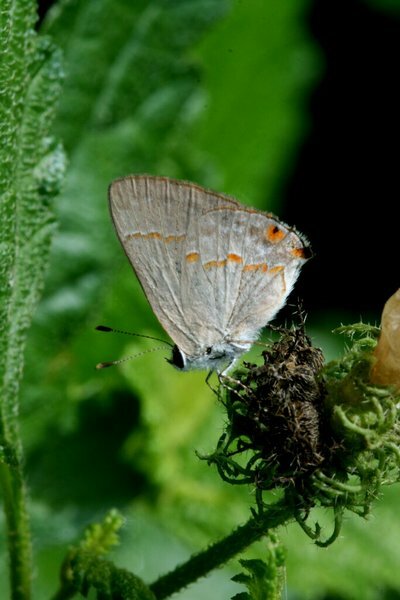 The Early Hairstreak is a county record and only the 4th or 5th time it has ever been reported in Ohio. It also proves there is a 2nd brood here in Northern Ohio. Sam Eiben found it and took the photos. 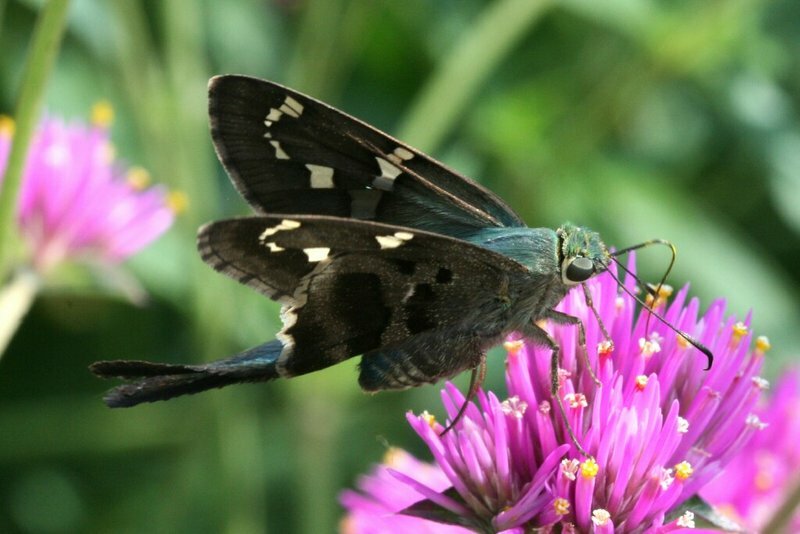 Long-tailed Skipper is an uncommon stray that appears every few years in Tennessee. One individual seen nectaring on Gomphrena ‘Fireworks’. As part of the NABA-Audubon Butterfly Count for the newly-created Bowman’s Hill Wildflower Preserve count circle, I surveyed this area for 1½ hours. This was the fourth and final area of the day and a real treat! I entered the park adjacent to the old barn and parked at the back, near the Delaware-Lackawanna Canal. I followed the canal tow path south until I encountered a field full of Daisy fleabane, the dominant nectar source ( 40°30’13.02”N, 75° 4’18.13”W). Several other nectar sources were observed - Milkweed & Dogbane were not in bloom, but Queen Anne’s Lace, the tall White Clover, Bull Thistle were all blooming. A portion of the Quail Hollow NABA 4th of July butterfly count as seen by a group of 6. Park has lots of Partridge Pea and the Little Yellows were unbelievable! 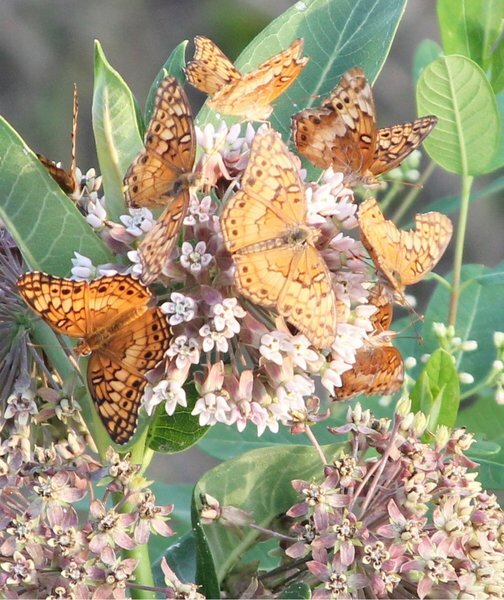 A late afternoon mob of Variegated Fritillaries (Euptoieta claudia) nectaring on MIlkweed (Asclepias syriaca). 18:45 EDT. I saw even more individuals at the same site about an hour earlier. Although some flew off, the fritillaries generally allowed a close approach. 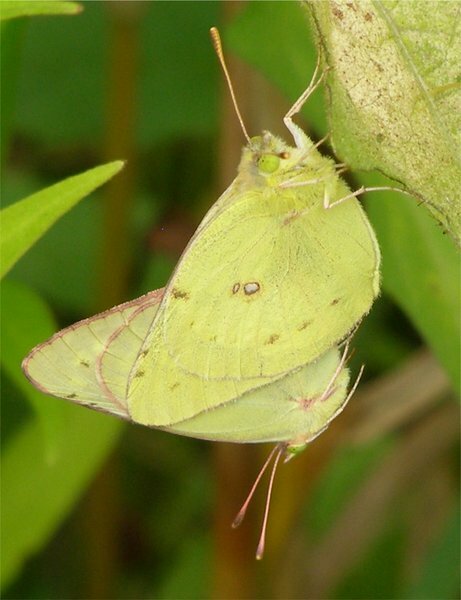 Several Pearl Crescents were also in the immediate neighborhood. The timing of this outing was nearly perfect. 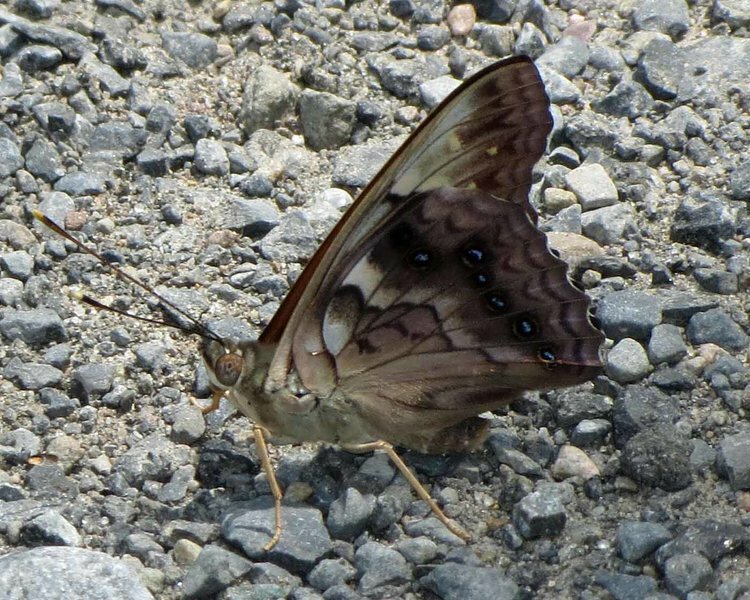 There were still a few good seeps creating mud-puddling opportunities along the road. The wildflowers are now at their peak. Nice warm day and lots of butterflies. Mt. Ashland is located nine miles west of the Siskiyou Summit of Interstate 5, just north of the California\Oregon border. 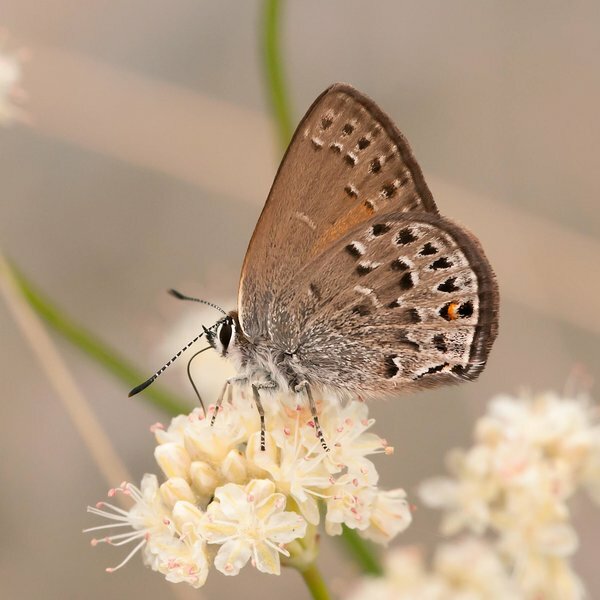 My sighting record of Sierra Blue is listed under Arctic Blue. 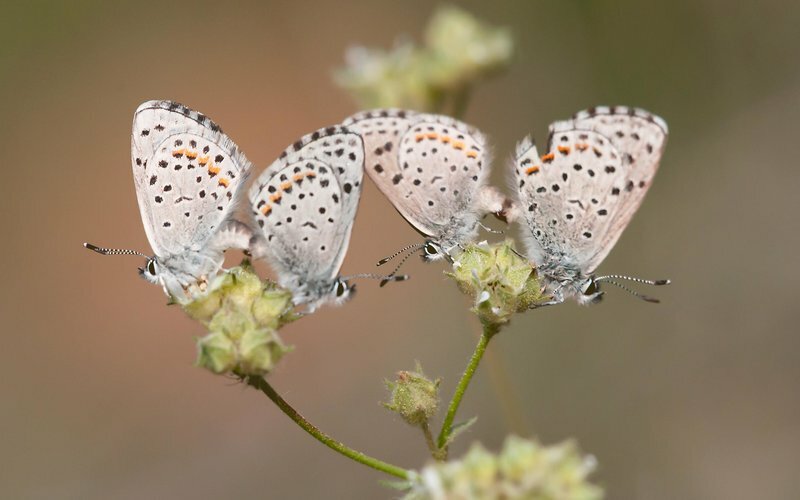 Also the commonly seen Anna’s Blue is listed as Northern Blue in the species list. Butterfly perched on wall of PNC bank branch on an overcast morning, 10 A.M.
Lifer Bell’s Roadside-skipper seen for the briefest of moments flew off before I could get the camera up to take a shot. 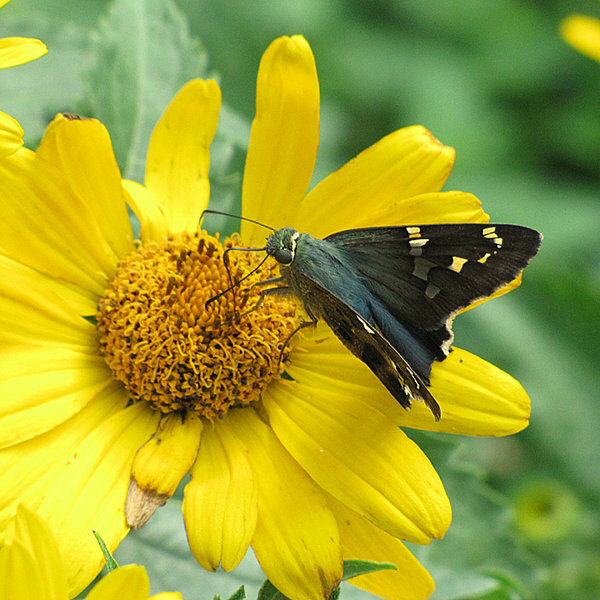 Warm and partly cloudy; most butterflies were seen along the road to and in the Bayview butterfly garden. Spent about 2 hours in the field from 1400-1600 hours. 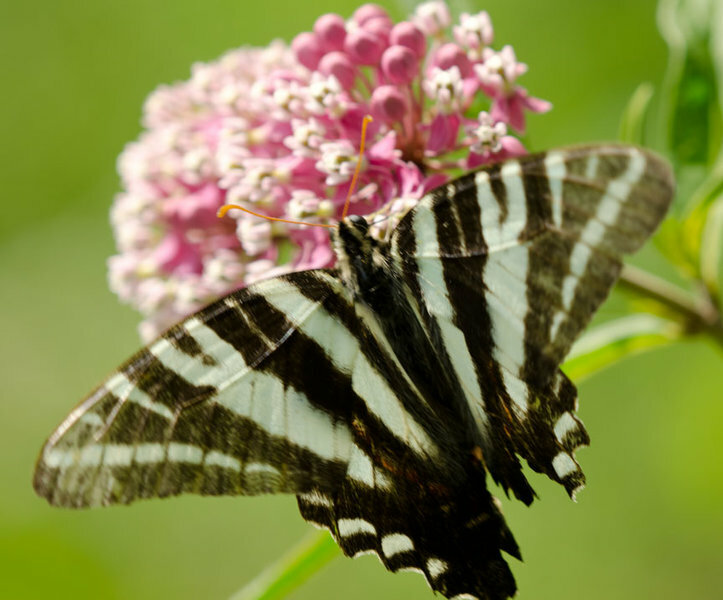 Dense concentrations of butterflies, especially zebra swallowtails, on the white clover near the small pond just before you reach the garden. The Giant Swallowtails have a great affection for Bee Balm as they were feeding in groups on this flower. 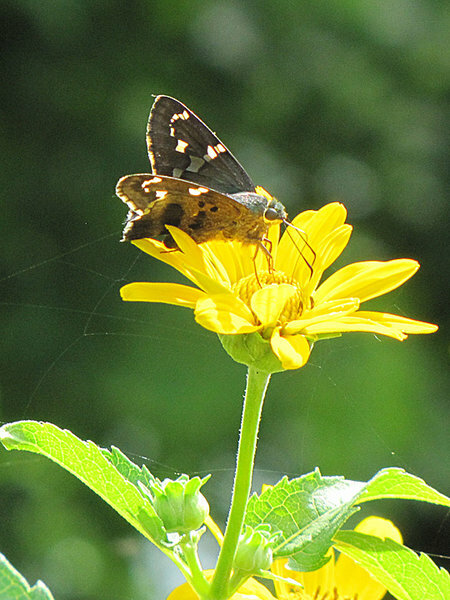 A silver-spotted Skipper fell victim to an Ambush Bug on a Bee Balm. Found my third Appalachian Brown of the year in more or less the same location on the Opelofa trail just before the Loop trail. 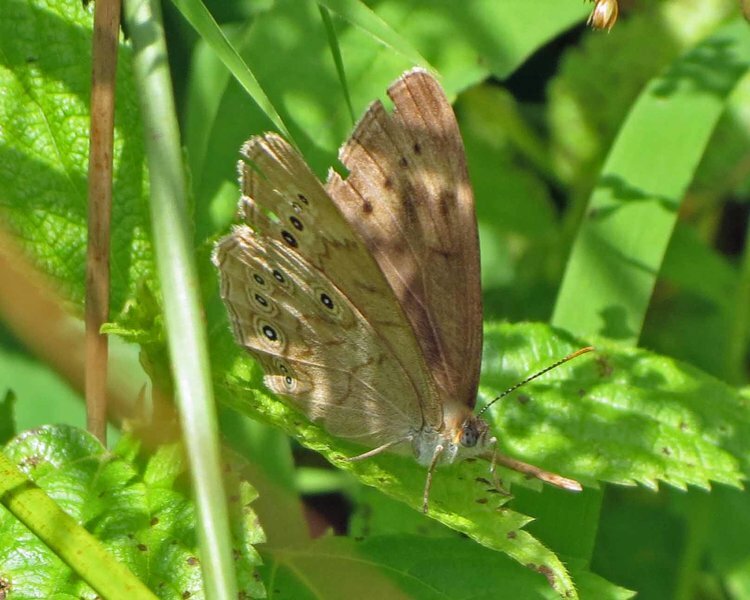 I have only ever seen the Long-tailed Skipper in FL. Somewhat surprised to see it in PA. This one seems to have lost its tail. 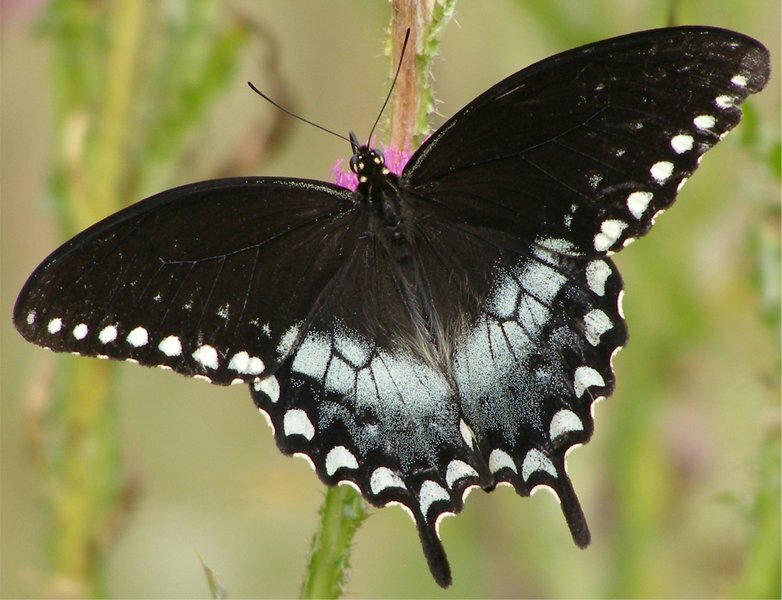 First Giant Swallowtail at this location for 2012 - and the first Red-Spotted Purple ever observed at this location - found feeding on a Butterfly Bush. Also one Black Swallowtail caterpillar. 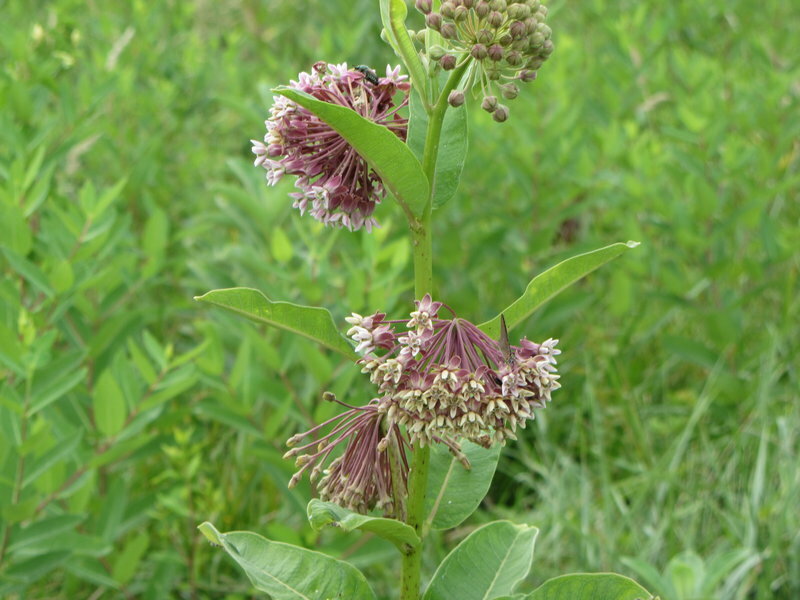 Nectar sources were limited to Red Clover along roadsides and some dogbane, goldenrod, and swamp milkweed. I was looking for recently-reported Sleepy orange butterflies, but did not find them. I did see a Cloudless sulfur, however. It was flying back and forth across the parking area for about 2 hours. 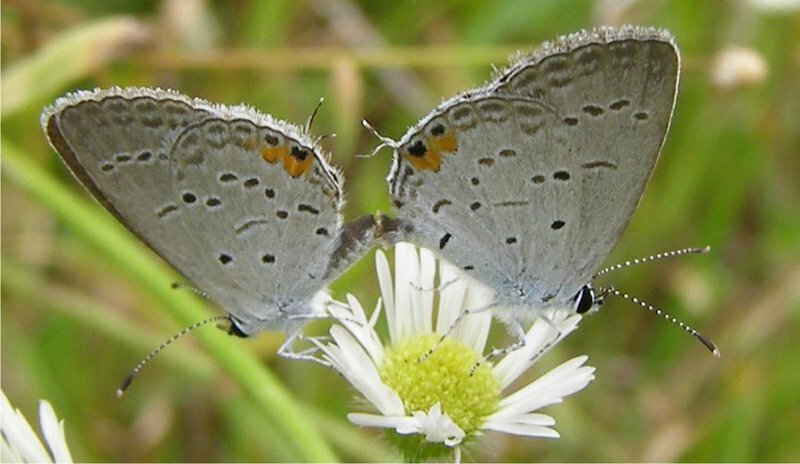 The butterfly field has perked up with recent rains after a couple of weeks of drought. Butterfly numbers were down for this time of year, but there was decent diversity of species in my 2 hours there. I discovered a colony of Checkered Whites on 7-25-2012 along Pointers-Auburn Rd. 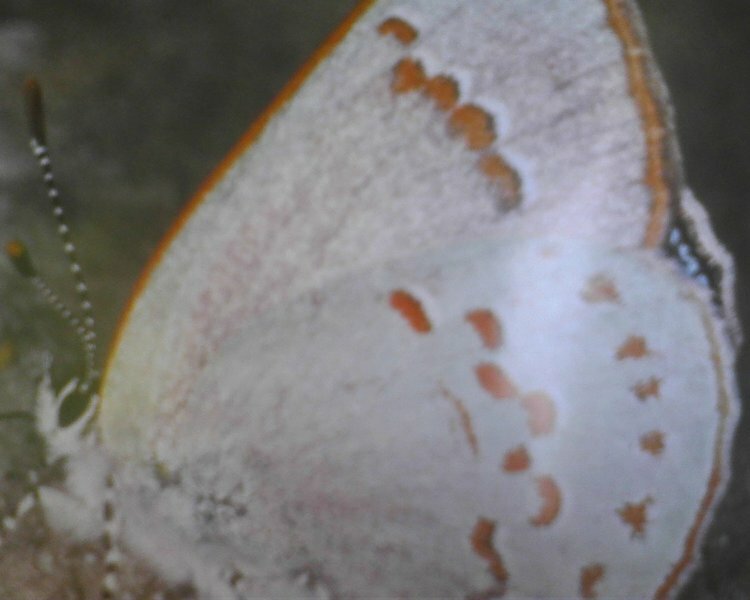 In the days following they have been observed in at least 6 more spots in that area. They are using Virginia Peppergrass as their host. 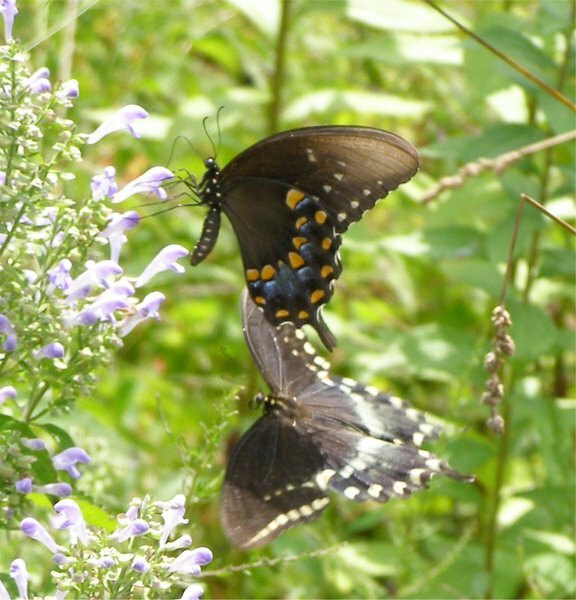 All (8) Tiger Swallowtails feeding on Butterfly Bush - most seen ever at this location. Female Julia Heliconian flying wildly above diners eating in outdoor cafe area; periodic nectaring in flowers in median of pedestrian mall — about 3 p.m. Saw a giant swallowtail in my yard on the echinacea. It stayed around for about 20 minutes, then returned about an hour later. Very fesh one sitting on picnic table. This locale is part of the Lassen NABA count circle and contains one of the largest mountain fen habitats in California. 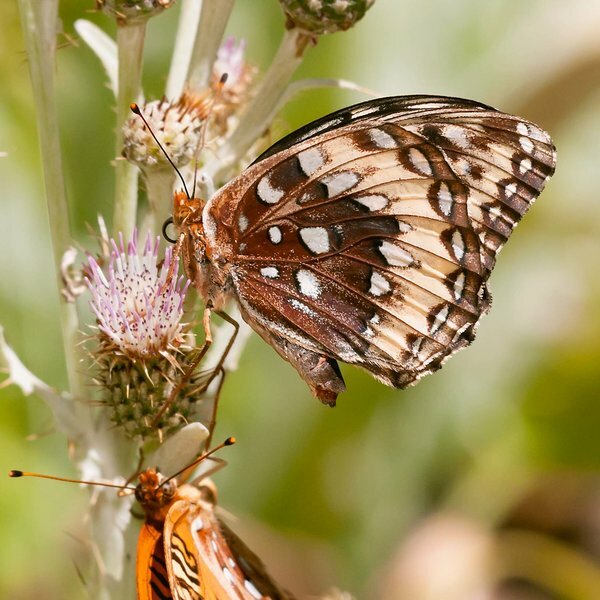 There is a reliable and robust colony of Great Spangled Fritillary in the main meadow. 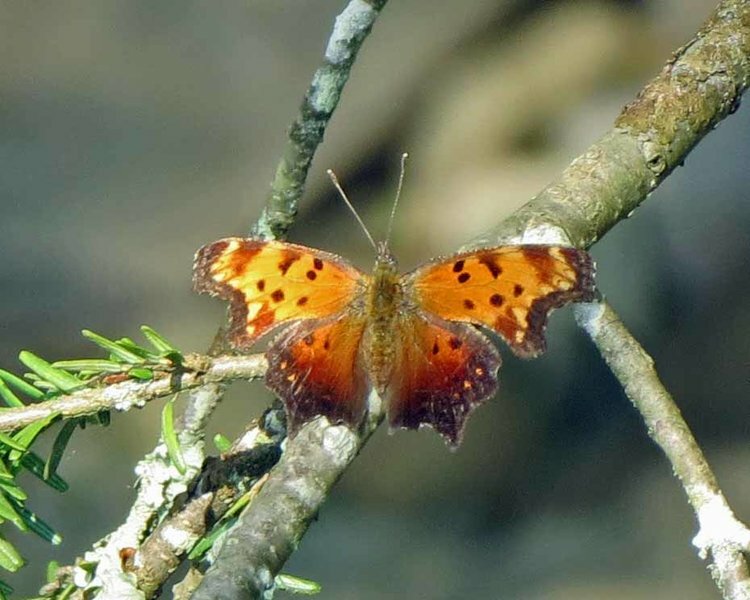 I also documented and counted butterflies in the Warner Valley, leading up to Drakesbad. Yesterday, 7/30, under mostly sunny sky and temperature around 80F Steve Chorvas and I covered several sites in extreme Northern Ulster county, all within NABA count circle and recorded the species listed bellow. Giant Swallowtails were observed at every stop. Unusual amount of Fiery Skippers on Trefoil, both male and female. Also 5 male Sachems and one female. Almost all Fiery Skippers and Sachems were in pristine condition. This is a dependable site for Little Yellows this time of year. Most were fresh like the one in the photo. 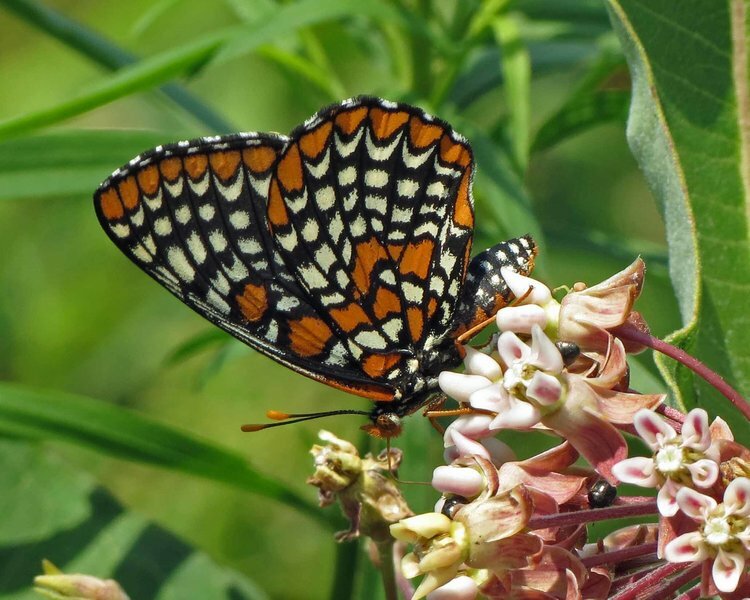 The Baltimore Checkerspot was a fresh female. We are having nature camp this week. 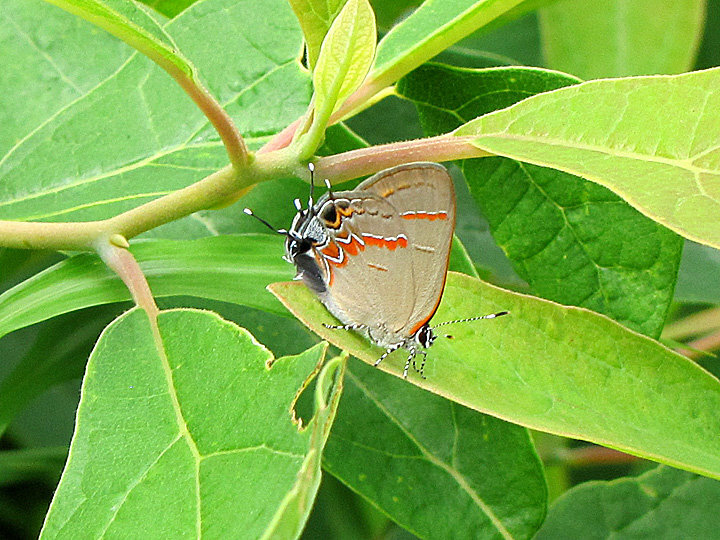 One of our sharp-eyed youngsters spotted this Red-banded Hairstreak in the Mariton fields. It was a new experience for me to see so many Monarchs and Queens interacting with Julia Heliconians & Gulf Fritillaries. What a display of orange & brown! 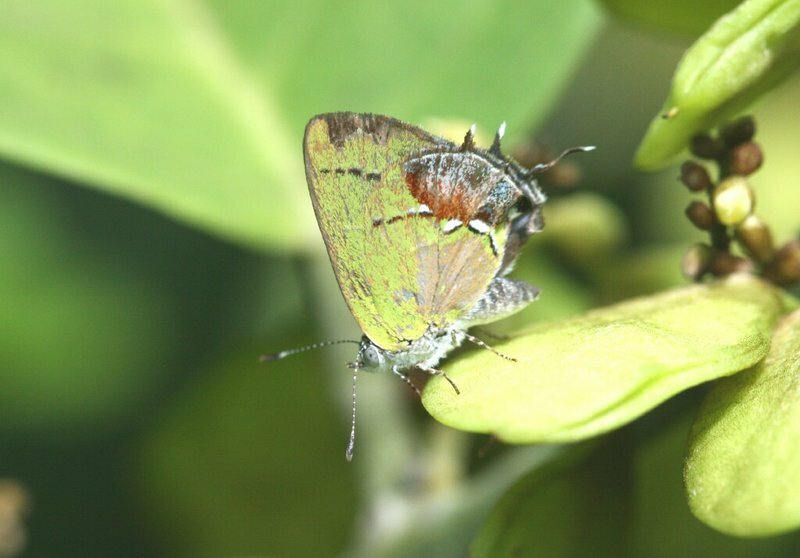 My first-ever Atalas and a Mangrove Skipper! Possibly other large Sulphurs I could not I.D. to species in flight.